Abbie is not the strong character that many believe her to be and the mid-season finale brought this fully to light. Abbie is one of the two final witnesses but she is not on the same level of importance to the storylines as Ichabod nor does she possess the same level of intelligence. How had she not heard of the Roanoke? Seriously? Sigh. Abbie is not given the same agency as a character as Ichabod. I see flaws in the ways in the way Abbie is written. Abbie is the Watson to Ichabod’s Sherlock; Ichabod is clearly the protagonist with Abbie merely following along on his journey. Abbie’s emotional issues were wrapped up quickly in a 2 episode arc while Ichabod’s are still ongoing and will contonue to be the main focus of the rest of the season when the show continues in 2014. Abbie is simply there to help Ichabod navigate the present and deal with his emotional demons and fight Moloch as a side kick. Ichabod has his past to reconcile. He has to understand the world around him. He has to find out who he was, is, and ultimately what choices he has to make in order to save himself and Abbie from their fates. The writers and merely bringing Abbie along for the ride at this point. Her story is overshadowed by the trials of Ichabod. So, Abbie’s fate rests in the hands of Ichabod. Nice. She has to depend on him although they are both witnesses and supposedly are of the same importance. O-kay. This warning highlighted the power roles of Ichabod and Abbie. by giving all the the agency to Ichabod, it placed Abbie in a position of vulnerability that we all knew existed for both characters yet now Abbie’s fate is more dependent upon the decisions of Ichabod. Sleepy Hollow but it is flawed and perhaps the writers will give more agency to Abbie in the next episodes. 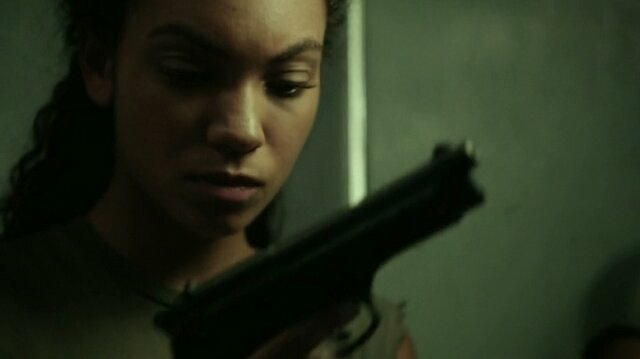 Maybe Moloch’s warning can be the beginning of Abbie becoming more than just Ichabod’s straight man in this supernatural time travel buddy cop show. Hopefully, Jenny will come to the rescue if I get my way because she is better suited to be partners with Ichabod.